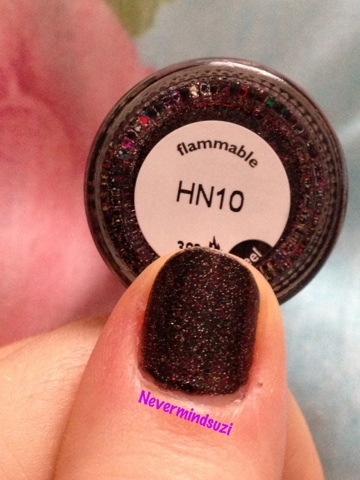 In honour of Harvey Nichols Edinburgh 10th anniversary, Nails Inc have collaborated with them to produce a special Limited Edition Crystal Cap called HN10. Whilst I don't live in or near Edinburgh I was very lucky to have a facebook friend who was visiting and like me has a love for nail polish so she picked 1 up for me (and a number of other polish obsessed ladies). I have no idea where to start when describing this colour it is stunning! 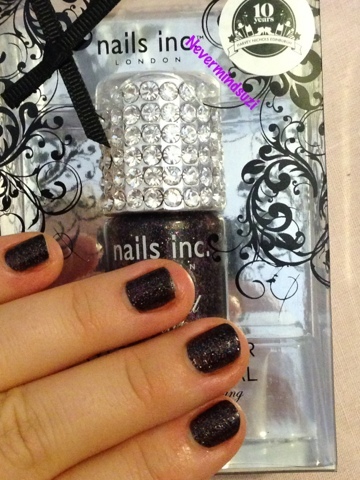 A rich chocolate brown micro-glitter with fusions of red, green, blue, silver, gold, pink, purple... I could go on. It's just jam packed full of sparkle AND it's a 2 coater! I could just stare at this colour all day long... What do you think? I was actually in there early last month, I never saw this :( I won't be going again for some time the train journey was hellish! Looks good. Limited editions are always great to have. I've been to Edinburgh several times as I live up here. Well worth a visit for sure. what's the formula like? It's kind of hard to tell from the photos, but it looks kind of rough?